Bleaching is the procedure of whitening the teeth. There are two types of bleaching; home bleaching, and In-Office bleaching. Home bleaching is a way of whitening the teeth but In-Office bleaching is a more effective and safer method. There are different ways and machines which perform the In-Office bleaching. The best bleaching method nowadays is the "Zoom 2" bleaching. The "Zoom 2" is a kit containing different instruments and materials that are applied by the dentist to the patient. After applying the material, a device in the dental office is activated to start the bleaching process. "Zoom 2" is a safe and effective bleaching method. 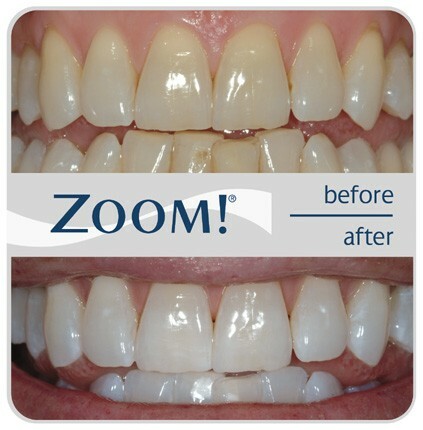 Ask your dentist about "Zoom 2" bleaching and how to make your smile more beautiful.